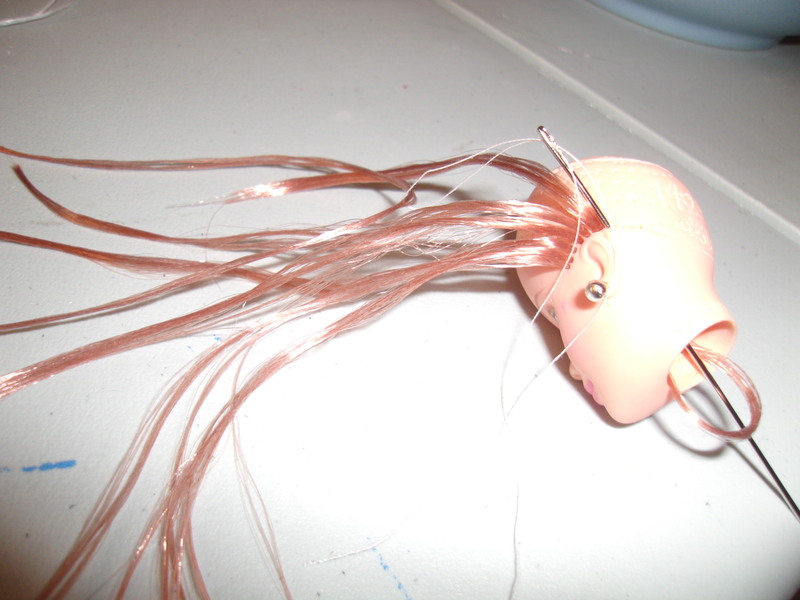 Last month I mentioned that I had picked up a couple of cheap-o thrift store Barbies with the intention to do some OOAK work on them. 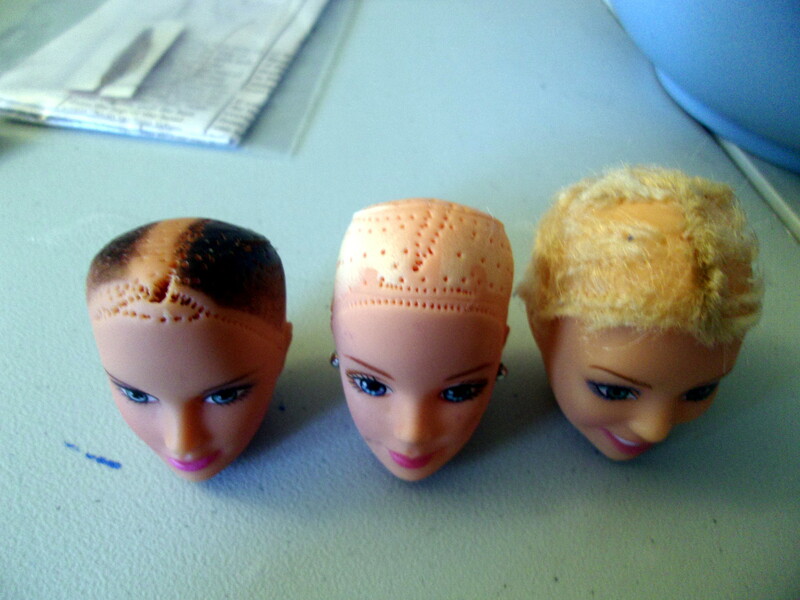 I have since removed their heads, removed their hair, ordered new hair, and have started the re-rooting process on one of the dolls. 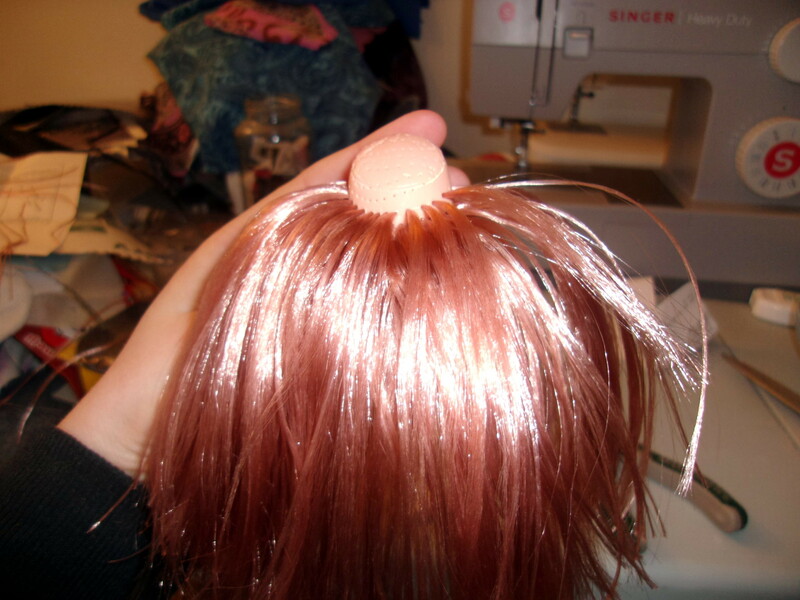 How I will secure the final hair plug is yet to be determined. 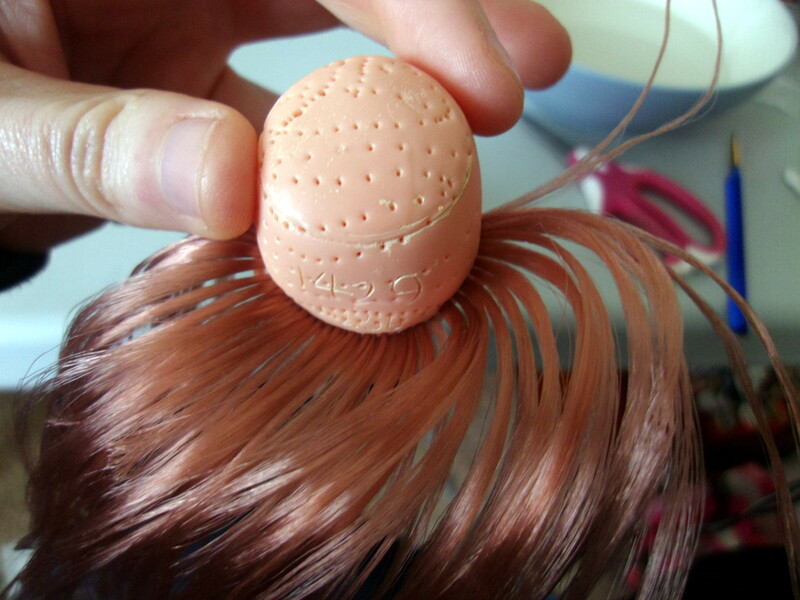 Be super careful pulling out the original hair plugs. I accidentally blew out this woman’s forehead. I *did* find a way to fix this (Behold: Magic! 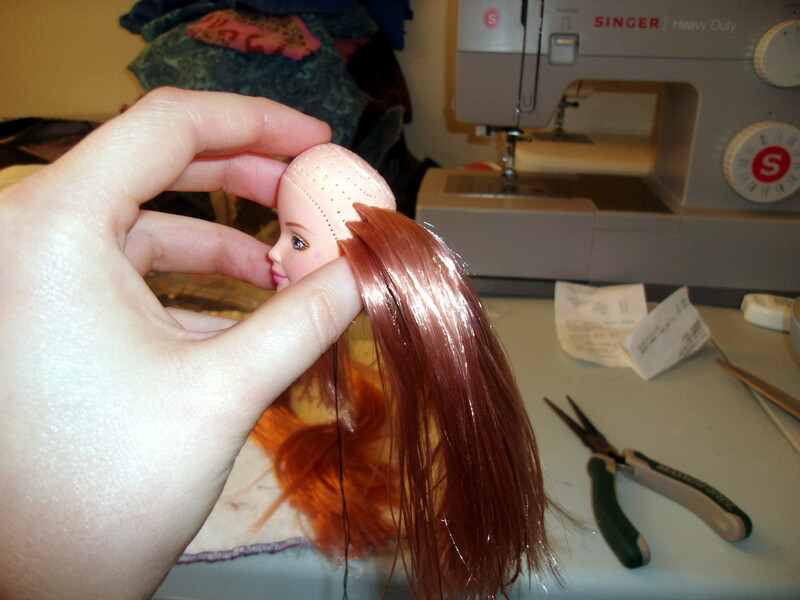 ), but I think I’m going to wait until after this first doll’s head is done before I mess with it. 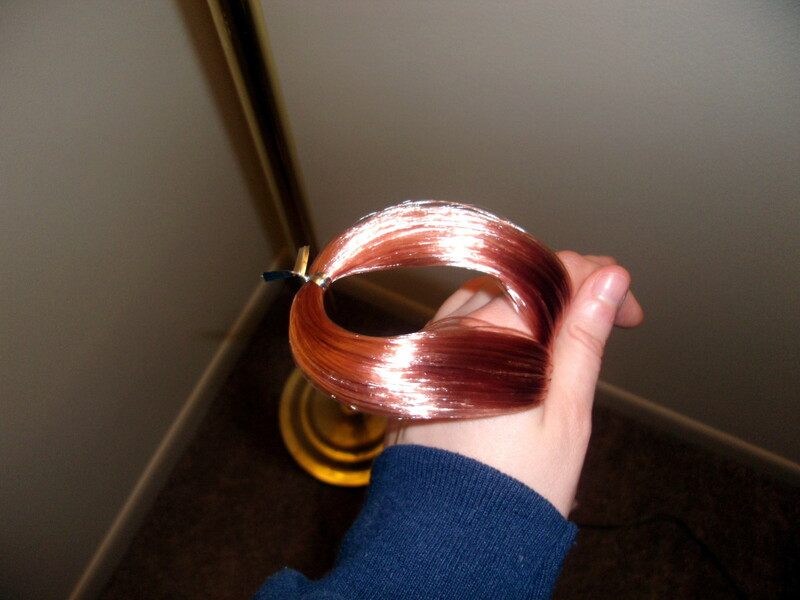 “Carrot Cake” looks much more like strawberry blonde in person. Next time I will get a different shade. Even my camera is deceptive! 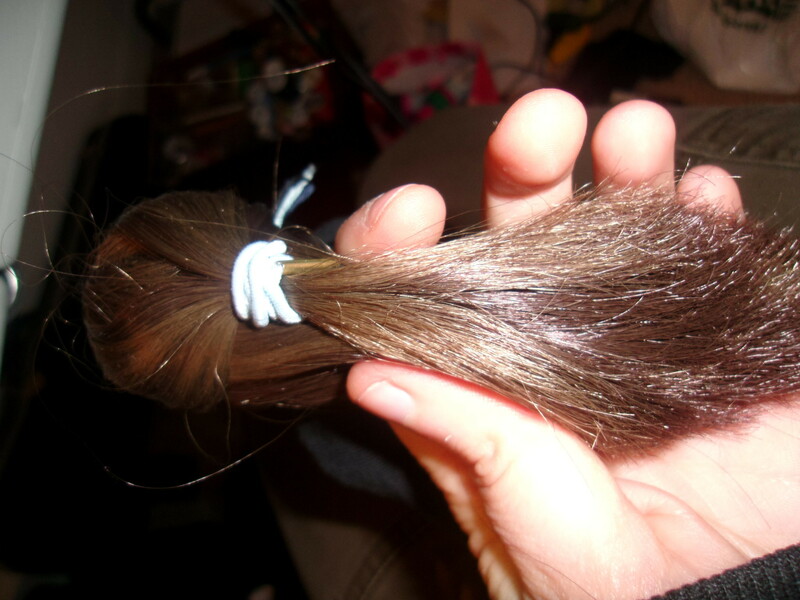 I really have no idea how thick or thin these hair plugs need to be. Never having done this before and being worried about making her hair too sparse and thin, I think I may have made her hair *too* thick. 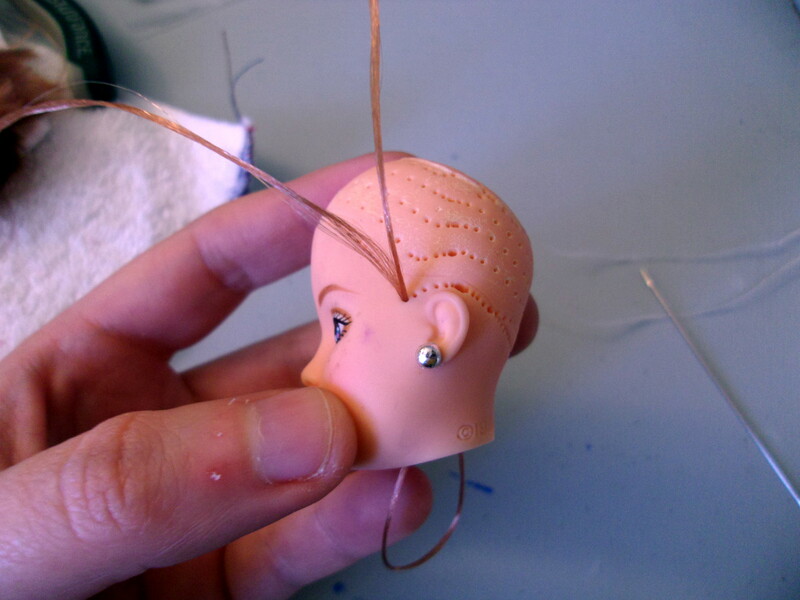 Her head is only maybe half done and is already as thick as my Lammily’s. 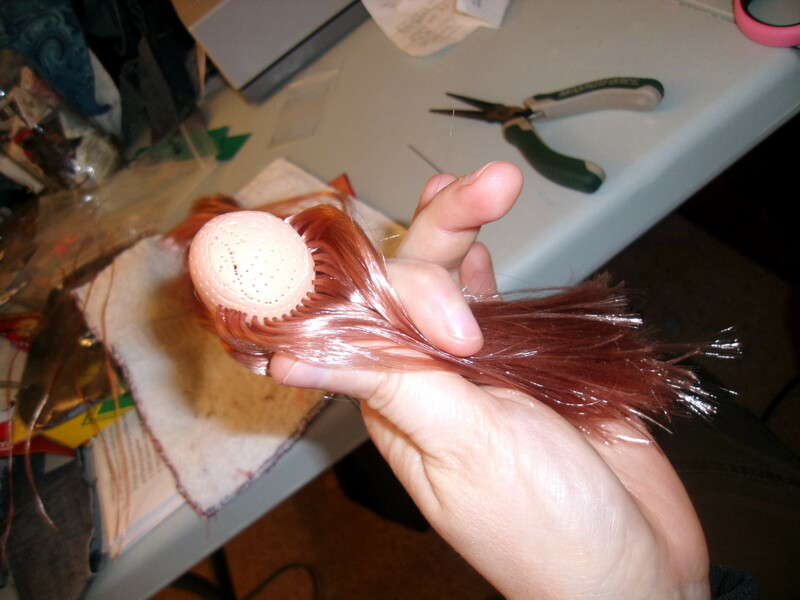 Over in my Handmade Lammily Fashions group, one lady likened my progress photos to “brain surgery” and got (mock?) squeamish. I thought it was cute. 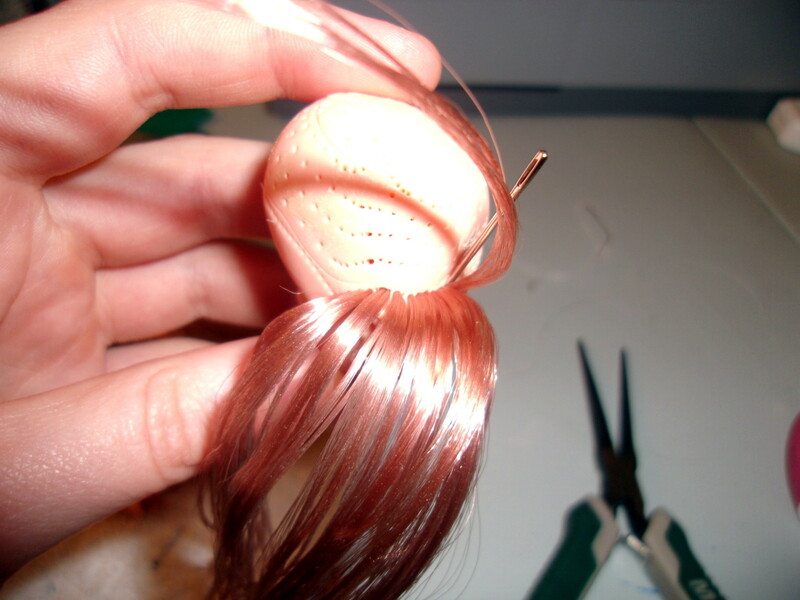 This entry was posted in Dolls, How-To, Lammily and tagged Barbie, Dolls, how-to, Lammily, OOAK, recycle, reuse. Bookmark the permalink.